These dogs aren't afraid of no cowboys. If you aren't aware of Paw Patrol that's okay. Parents everywhere already know the all-consuming effect this massively popular Canadian children's cartoon has on their kids. And Paw Patrol is flexing this dominance over the youth demographic by releasing a new video game on the same day as Red Dead Redemption 2. Outright Games and Nickelodeon have announced Paw Patrol: On a Roll for consoles and PC for an October 26 release date. That's the same day as Red Dead Redemption 2 and is a date currently avoided by most other game publishers except for Bandai Namco, who have an action game based on the popular My Hero Academia anime (a smart bit of counter-programming actually). But Paw Patrol doesn't fear the oncoming cowboy stampede. Paw Patrol doesn't fear much of anything considering it has a steel grip on the imaginations of young children everywhere who're both too young to play Red Dead Redemption 2, or even care about it. 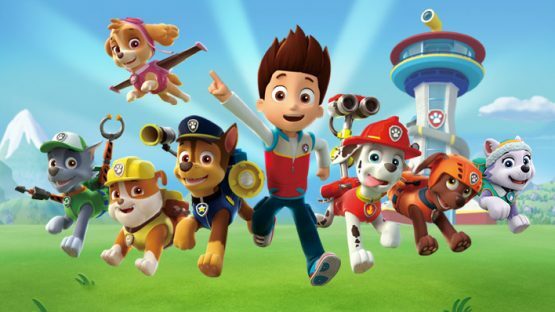 Today's children are more interested in the canine adventures of Paw Patrol than cowboys. Paw Patrol is a currently airing children's cartoon from Canada currently syndicated in over 160 countries, including Nickelodeon in the US. The story follows a young boy named Ryder who alongside his police dog Chase go on whacky adventures with other dogs who have human jobs like firefighter, pilot, doctor, etc. Toy sales for Paw Patrol alone generated over $300 million in sales and Amazon consistently lists Paw Patrol merchandise as part of its top 10 Christmas toys. For young kids, Paw Patrol is the biggest thing since the vaccine for Chicken Pox. So if there's any game that doesn't mind going up against Red Dead Redemption 2 it's Paw Patrol, a game so completely separate from Red Dead's demographic that it's practically from a separate universe. A separate universe it rules over I should add. If you're not into Paw Patrol, which is likely considering our readership demographic, then you can check out our Red Dead Redemption 2 guide with all the latest trailers, news, and release information.